Thailand is a popular travel county. Every year there are lots of people come to visit the beautiful country. And among them, the capital Bangko and the city Chiang Mai gains the most tourist. When I surf the internet today, I found an interesting and fun post on a friend’s sina blog. And yes, you got right, it is about Chiang Mai. 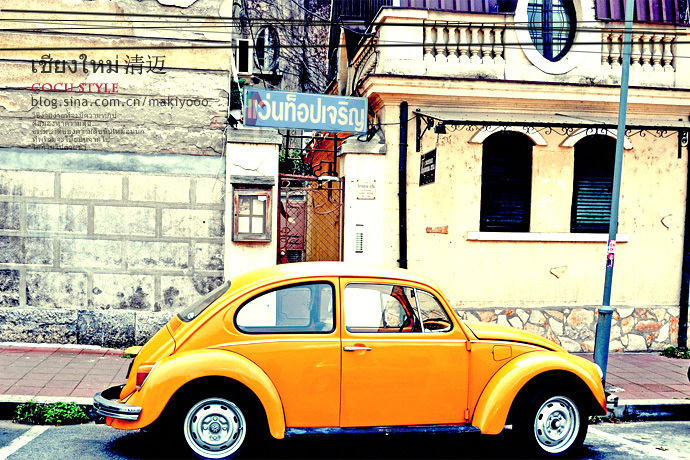 To be specifically, it is about the bubble car in the Chiang Mai street! Not all the city fits the bubble car. Some cities like Shenzhen which is in fast tempo and monotonous will not match it. 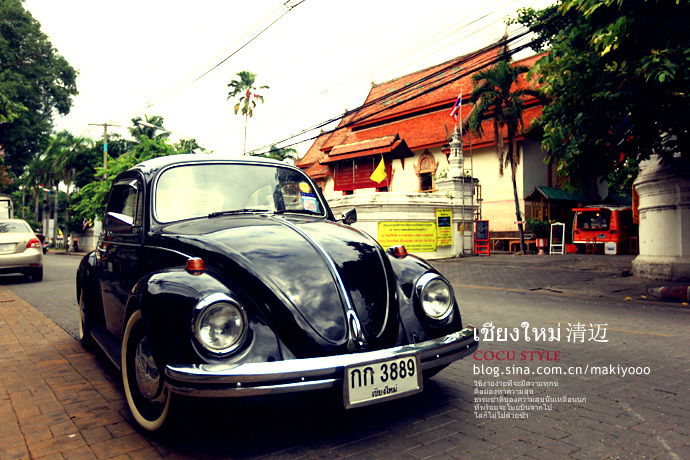 However, Chiang Mai boasts a kind of carefree and relaxing. It is not too busy nor too backward. This kind of temperament is just fitted with Chiang Mai. 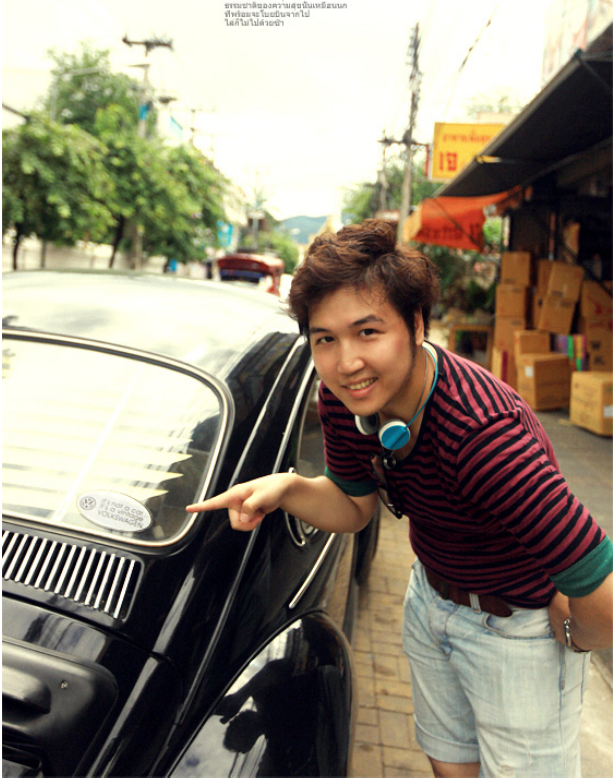 It can be spotted that there are lots of bubble car on the Chiang Mai street. You can come across them now and again. Besides, the tradition black ones, the times saw a pop out of pastel colors, like pink, yellow and green and etc. 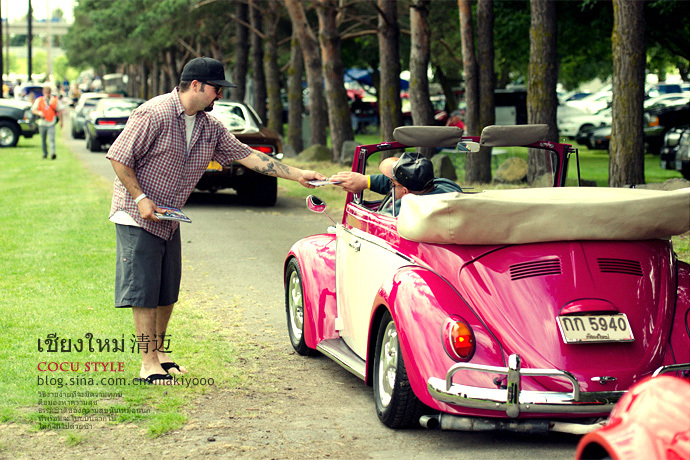 The small car body combines with pastel colors makes the bubbly car a beautiful scenery in the street. If you do not believe it, follow on and see it! 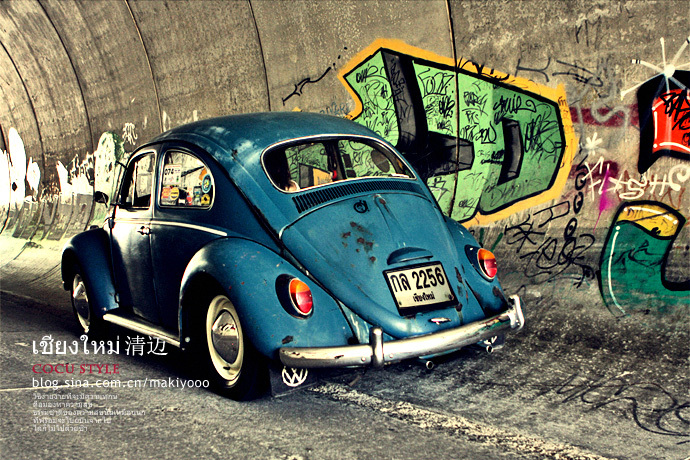 Do you know what does it say on the last but one bubble car? 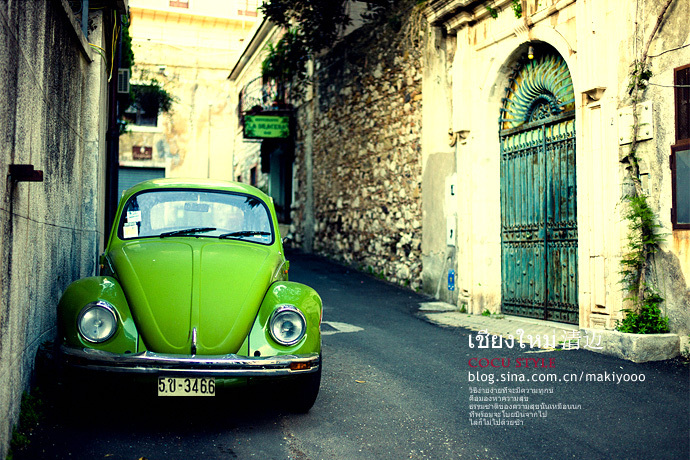 It says:“It’s not a car…it’s a vintage.” Enjoy!! 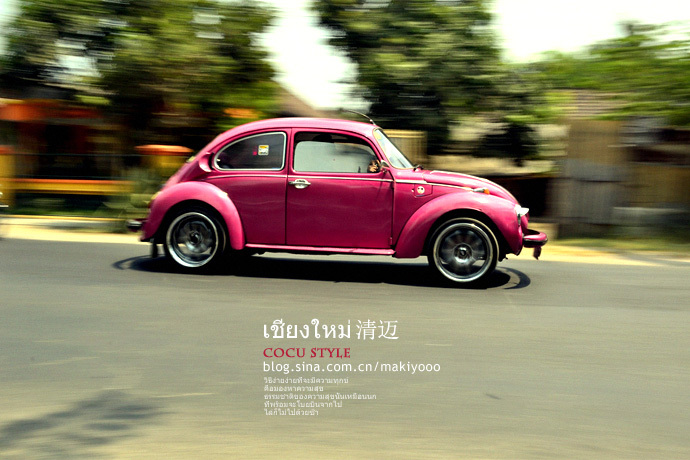 This entry was posted in travel & scenery and tagged bubble car, carefree, chiang mai, pink, street, temperament, thailand. Bookmark the permalink.